WASHINGTON -- The Pentagon says it will not demote retired Army Gen. David Petraeus, who pleaded guilty to a misdemeanor charge of mishandling classified information while CIA director, an incident stemming from an affair with his biographer. "The Army completed its review of his case and recommended no additional action," Stephen C. Hedger, assistant defense secretary for legislative affairs, wrote the Senate Armed Services Committee on Friday. Given that review, Hedger said Defense Secretary Ash Carter "considers this matter closed." The Associated Press obtained a copy of the letter Saturday. The Pentagon had no further comment. 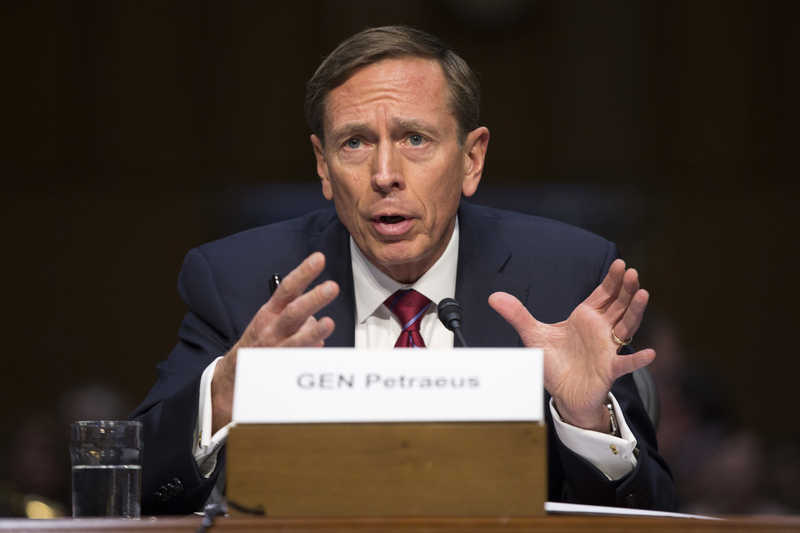 Media reports had surfaced that indicated the Pentagon was considering downgrading Petraeus to a three-star general. Such a move, if taken, would have reduced his retirement salary. In response, committee leaders urged Carter not to demote Petraeus, saying the retired officer had "admitted his guilt and apologized for his actions." At a committee hearing on Jan. 21, President Barack Obama's nominee to be the Army's top civilian official said he believed no further action should be taken against Petraeus. Petraeus resigned from the CIA in November 2012 after an extramarital affair with biographer Paula Broadwell. He pleaded guilty last year to a misdemeanor count of unlawful removal and retention of classified materials. He was spared prison as part of his plea and was given two years' probation by a judge who faulted him for a "serious lapse in judgment." Petraeus admitted that he loaned Broadwell eight binders containing highly classified information regarding war strategy, intelligence capabilities and identities of covert officers. Petraeus kept the binders in an unlocked desk drawer at his home, instead of a secure facility that's required for handling classified material. When initially questioned by the FBI, he denied having given Broadwell classified information, but in his plea deal he avoided being charged with making a false statement.